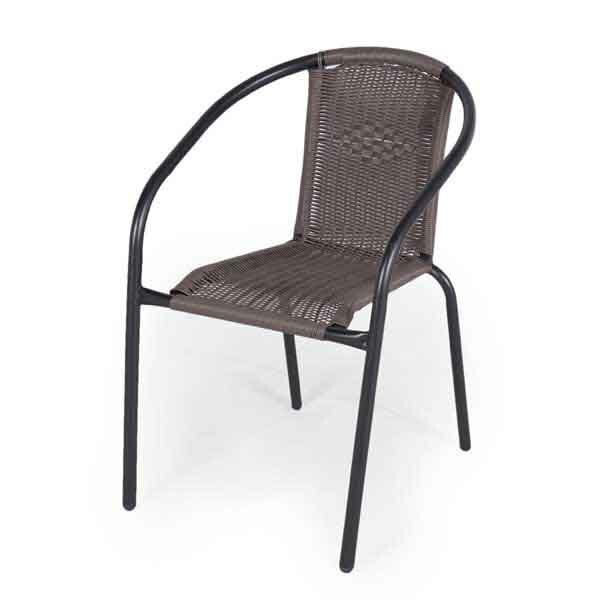 This rattan Greenfingers Kensington Bistro Coffee Chair will not look out of place in any garden setting, be it contemporary or traditional. It is the perfect size for patios and balconies too. 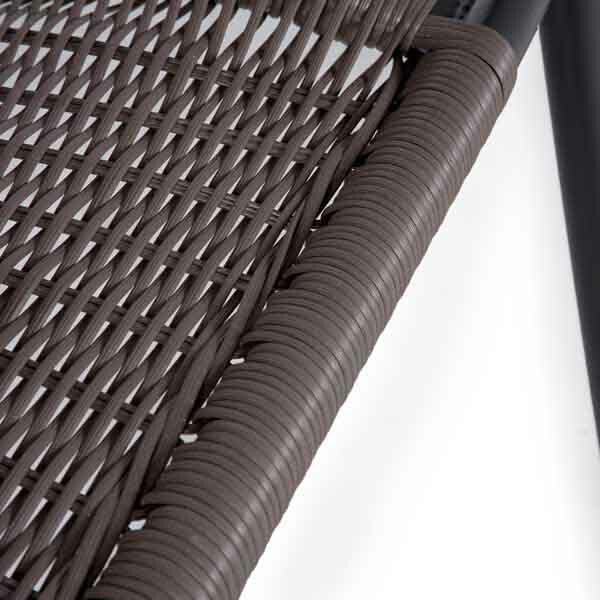 Manufactured from black powder coated steel with brown Polyethylene rattan seating, it is lightweight and durable, ideal for garden furniture! A great and comfortable garden chair to relax on whilst reading or simply enjoying the view. Greenfingers recommends that all furniture is protected during the winter either by covering with furniture covers or storing the furniture indoors. Pleased with the quality and purchase. Excellent chairs look good , very comfortable and very good delivery time would recommend to anyone A+++++. This is a chair of excellence recommended to friends who also said thy are comfortable. Thank you for excellent delivery time. I only have a small garden and patio so these bistro type garden chairs were the perfect choice for me. They are neat and tidy and great value for money. Loving having them on my patio along with my new table. Chairs look as if they cost more than they actually did. Ordering was easy and the items arrived promptly and on the day advised. These chairs are lightweight, comfortable and just what I need to take round the garden with me so I can sit whenever I want to. 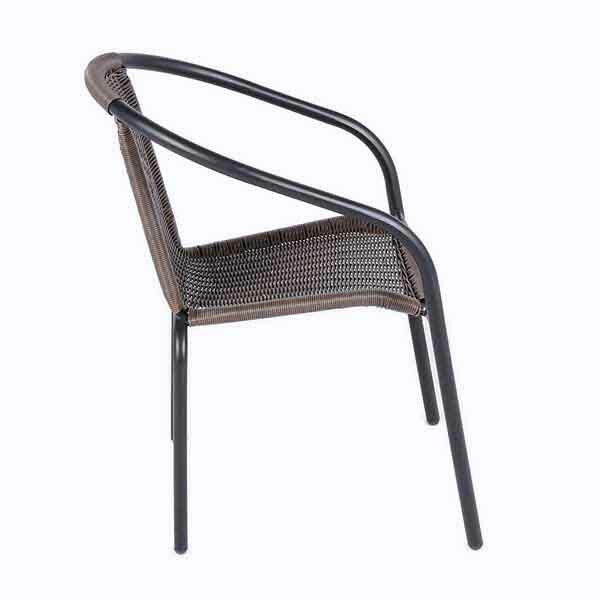 Look very attractive,comfortable to sit on and, being quite lightweight and compact, very easy to handle. Delivery time and packaging were very good, no problems. Hope PE rattan is more durable than 'real' rattan which I have found starts to unravel. Excellent chair. Although my husband found the chair not as comfortable as back of the seat is quite narrow, overall we are very happy. Very comfortable and lovely chairs, would highly recommend them.  Theses chairs were very good value looked good and also comfortable.